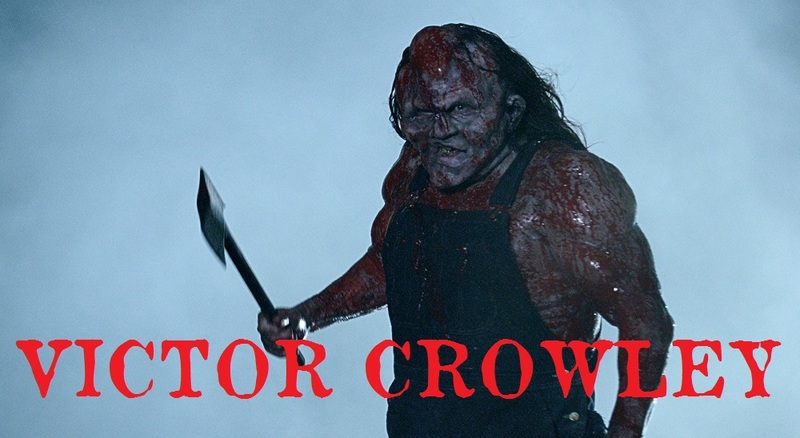 Victor Crowley (Hatchet 4) is the sequel that no one saw coming but everyone knew they needed. The film was shot in complete secrecy and on the 10th anniversary screening of Hatchet fans were treated to the first showing of the fourth installment in the Hatchet franchise. Do you remember the days when horror wasn't a overly serious social commentary that had a hidden message or tried to be more than just a good slasher flick? All that was required was a somewhat sensible plot, a killer and a supporting cast to be feed to the meat grinder. Well, it seems Adam Green is the only person these days who knows how to deliver just that. The fourth entry into this tried and true franchise could not have come at a better time. The bogging down of cinema with ghosts, action movies playing horror pretend and art house statement projects cluttered 2017 for most of the year. So it's nice to get back to the meet and bones of just good old fashion carnage candy. This installment sees Victor Crowley brought back to his old stomping grounds after a decades long hiatus. The scene of the original trilogy is now a popular tourist destination and most people believe that Andrew (Perry Shen's paramedic character in part 3) is the one who killed everybody. In a final attempt, with some greed involved, to set the record straight Andrew agrees to return to the swamp to do a interview about the massacre. But, of course, nothing goes as planned and Crowley returns to wreak havoc. The cast, just like the previous three, is perfect. Perry Shen shines bright in this series and does a damn fine job of headlining this outing as the stories main protagonist. As a welcomed addition we have Laura Ortiz playing Rose and just like the great Ray Wise she is incapable of delivering a bad performance. Also Dave Sheridan kills in his role and truly knows how to hit his beats with perfect comedic timing. Once again we are treated to glorious practical effects, thought slightly scaled down for cost. Yet Kane Hodder's Crowley looks the best here out of the entire series. The blood flows, the kills are clever and Hodder does what he does best. Oddly though the death that is the hardest to watch is one not even by the hands of Crowley. Tiffany Shepis (Casey) has a death scene that hits a note that is rarely seen in horror and really makes you feel for the character. You want her to live and no go out in such a simple but horrible way. The only downside, to a degree, is the way the film was shot. Its not quite as cinematic as the previous films but by no means does it render the film unwatchable. It's just an odd thing you'll notice at first but it quickly becomes less and less of an issue. If I had to guess I'd just chalk it up to the budget allocation of equipment used for filming. If you're a fan of this series you need to see this and if this is the first one you are thinking of watching, what is wrong with you get out there and watch'em in order.